It's being produced by CBS Studios, which means it'll likely be a thinly disguised version of its top procedural franchise. Call it "CSI: Waikiki." 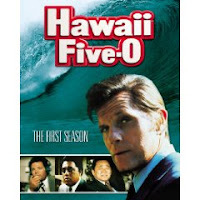 Jack Lord, who played the original series' iconic Steve McGarrett, is no longer available -- due primarily to the fact that he died in 1998. Perhaps they'll book his awesome hair for a guest spot, though. If cost-cutting measures force them to shoot someplace other than Hawaii, it's all over. Especially in winter, Vancouver just ain't gonna cut it.